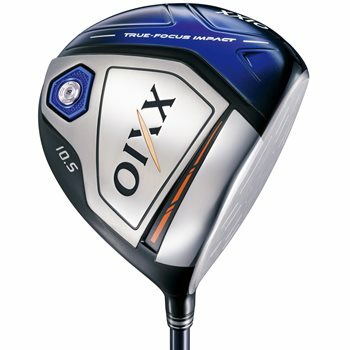 The XXIO X driver uses advanced materials and manufacturing techniques to deliver exceptional distance and forgiveness. The Hi-Energy Impact Head design is built with a thin, variable face that enlarges the size of the sweet spot to improve the consistency of your swing. Cup face construction allows the perimeter to be thinner, saving weight and transferring more energy to the ball for more distance and the Sole Channel compresses on low-heel impacts for higher ball speed. The new MP1000 shaft uses lightweight Nanoalloy® to produce exceptional head speed and is also engineered to reduce the forces on your body during your swing so you increase your consistency and hit the center of the face more often. Review by Linda, 7 months ago.